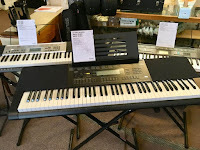 ONE OF THE things we needed to improve on at Second String Music was getting affordable keyboards. 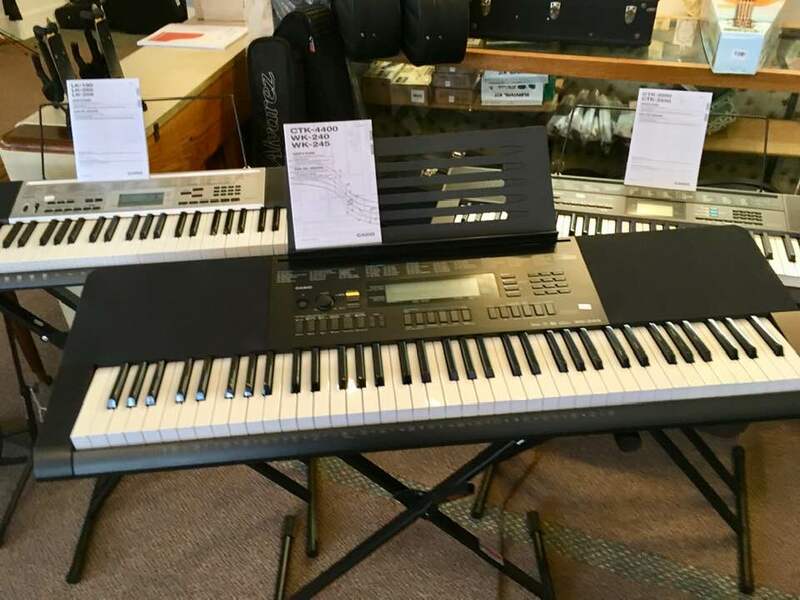 We've been stocking the amazing Roland keyboards, and we've done very well with them, but they are for more serious players and the price starts at $640. Beginners had no options within the store and that is a market we need to improve. So we've decided to go with some Casio keyboards for much less money. We start with the miniature SA 76 for $50 and go from there. We have the CTK-2550 ($119), LK-190 ($139), WK-245 ($199) and WK-7600 ($449). Basically the higher the model the more bells and whistles it has, and keys. The LK-190 has a lighted keyboard. The SA-76 is a miniature keyboard with 44 keys. I've been monkeying around a little bit on them and for the better ones you actually need the manual. It can record stuff and play backing tracks and do your dishes too. They are amazing. All our keyboards come with 4 free lessons at Vancil Music, 8th & Ohio. They have great teachers there, especially for beginning piano. So ... if you just want something basic to learn on and go from there, Second String Music is now your place to pick up a new Casio. Sing us a song, you're the piano man! Or woman. Or child. Let's get started at Fifth and Maine!